Monday from 16:30 to 17:00 Room 212, building DEI/A Different days and time slots can be agreed by email. Luca Palmieri graduated with highest honors in Electronic Engineering in 1996 and received the Ph.D. degree in Electronic and Telecommunication Engineering in 2000, both from the University of Padova, Italy. 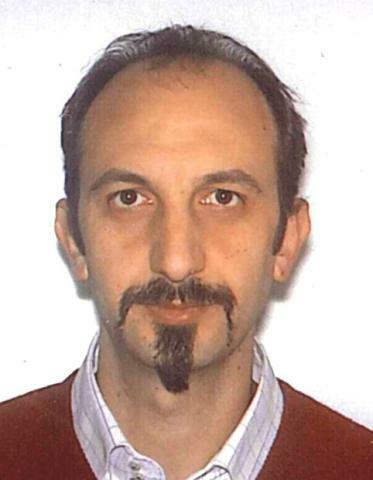 He presently is a member of the Department of Information Engineering of the University of Padova, where he has been Assistant Professor from 2004 to 2015 and since then is Associate Professor of electromagnetic fields (ING-INF/02). In 2016, he has received the National Scientific Qualification to the role of Full Professor. Prof. Palmieri has authored or coauthored more than 140 articles, about half of which in international peer-reviewed scientific journals, almost as much in the proceedings of international conferences, 2 book chapters and 7 international patents. According to Google Scholar (10/04/2018) his works have been cited 2050 times and his H-index is 25. He is topical editor of Optics Letters (OSA The Optical Society), associate editor of Journal of Optics and Laser Technology (Elsevier) and serves has reviewer for several international journals. He is member of the Technical Committee of several international conferences as the “European Conference on Optical Communication” (2018), “Asia-Pacific Optical Sensors Conference” (since 2015), "European Workshop on Optical Fiber Sensors" (since 2012). He is managing or collaborating to several national and international, peer-reviewed, scientific research projects, among which DOMINO (Dikes and debris flows monitoring by novel optical fiber sensors; European Commission; 2016 – 2019), OPTOZEN (Optical coherence tomography for zebrafish imaging; University di Padova; 2013 – 2015), and RIVERSAFE (Riverbank surveillance based on fiber optic sensors; Project of Excellence, Fondazione Cassa di Risparmio di Padova e Rovigo; 2012 – 2015). He has been Visiting Scientist at CERN (Geneva, CH), in the framework of the project FOS4CRYO (Fiber Optic Sensors for Cryogenic Applications and Superconducting Magnets), and presently is coordinating the CERN Transnational Access project MAG-DAS (Magnets monitoring by distributed optical fiber sensors). He also collaborates to and manages research contracts with several private companies, among which Visia Imaging s.r.l., Carron Costruzioni Generali S.p.A., ENI S.p.A., Prysmian S.p.A., and OFS Fitel Denmark ApS. - Optical fiber sensors. Development and application of distributed and multipoint sensor for the measurement and monitoring of magnetic fields, electric current, temperature, strain and acoustic fields, mainly with application to environmental and structural monitoring. - Distributed characterization of optical fibers. Development of techniques for the distributed measurement of modal and polarization properties of single- and few-mode optical fibers. - Analysis and optimization of spun fibers. Analysis and modeling of spin applied to single- and few-mode fibers for the minimization of differential group delay. - Nonlinear polarization effects. Theoretical and experimental analysis of Raman, Brillouin and parametric amplification for all-optical signal monitoring. - OCT. Development of polarization-sensitive optical coherence tomography.